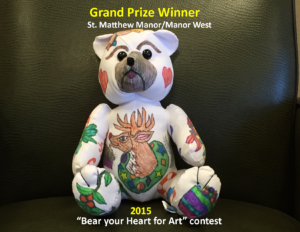 Congratulations to the 2015 “Bear Your Heart for Art” Contest!!!! Congratulations to St. Matthew Manor/Manor West for wining the 2015 “Bear Your Heart for Art” contest! The Foundation’s Goodwill Ambassador, Wes, has a cousin named Art. 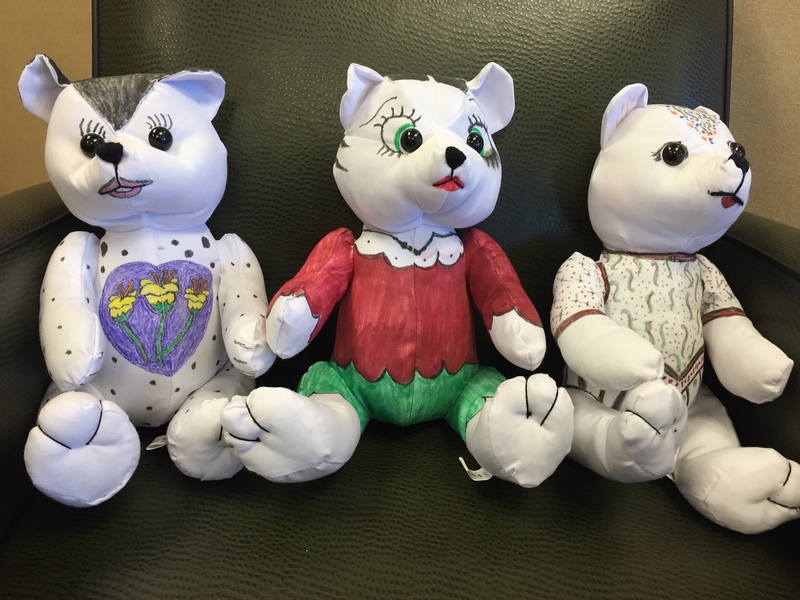 Art is a plain white teddy bear in need of some pizazz. 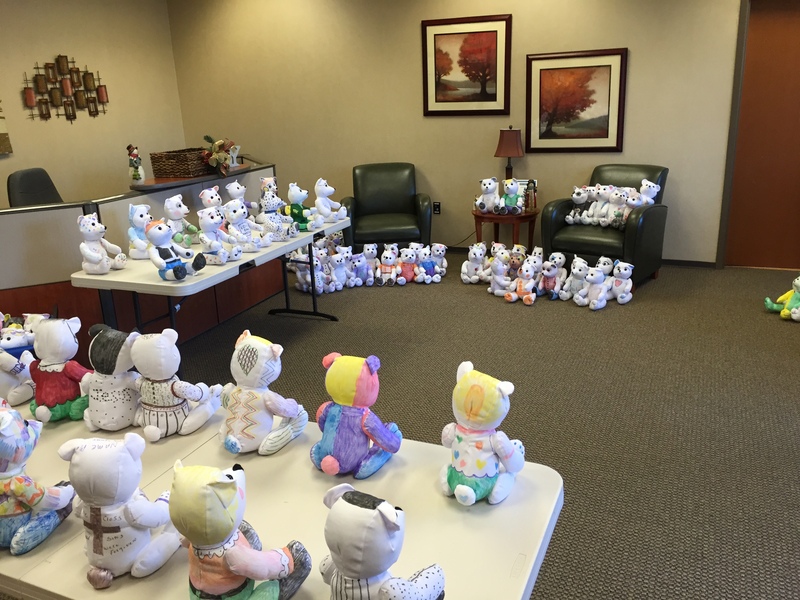 The residents of Wesley Living communities were more than happy to provide Art with some color and excitement! 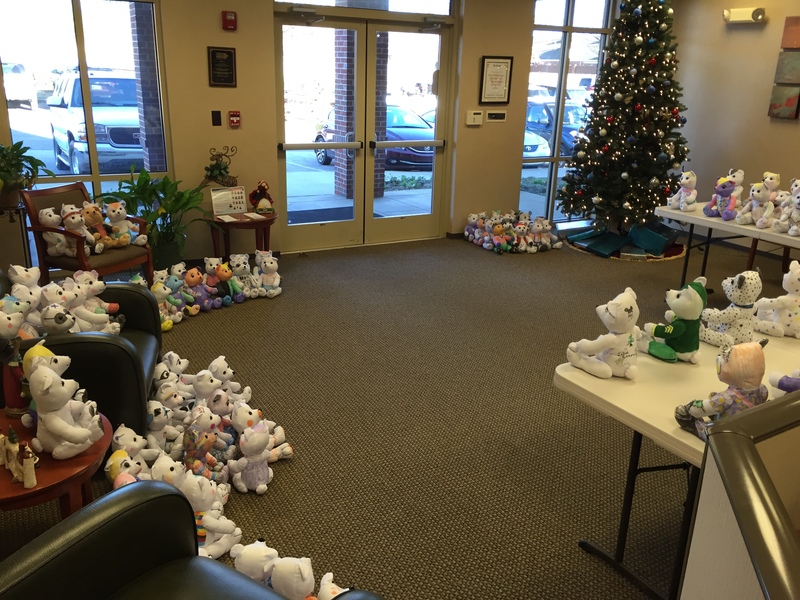 Copies of Art was sent to each of our communities to be decorated by teams of residents. Each community chose a community finalist to compete in the Grand Prize judging. For their victory, St. Matthew Manor/Manor West will receive a coveted trophy and a community celebration party. Several highly talented discerning judges from the Memphis Conference of the United Methodist Church assembled yesterday to judge the finalist entries. After careful deliberations, the entry from St. Matthew Manor/Manor West was determined to be the Grand Prize Winner. Honorable mentions went to the “Judges Picks”. They were, in no particular order: St. Mary Manor, Adamsville/Oakhaven Village and Pine Ridge/Pine Meadow.